This stamp is St. Vincent Scott#349 issued Jan. 18, 1973. 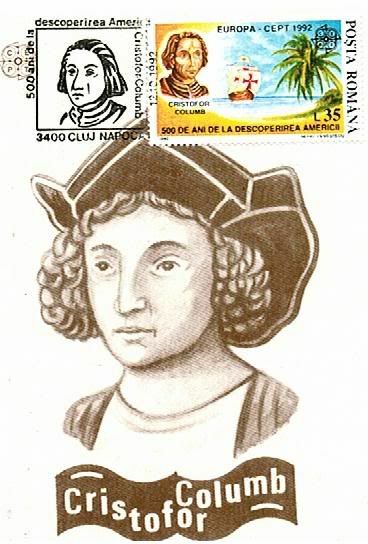 This stamp is St. Vincent Scott #1087 issued Jan. 11, 1988. This stamp is St. Vincent Scott #1088 issued Jan. 11, 1988. This stamp is St. Vincent Scott #1089 issued Jan. 11, 1988. 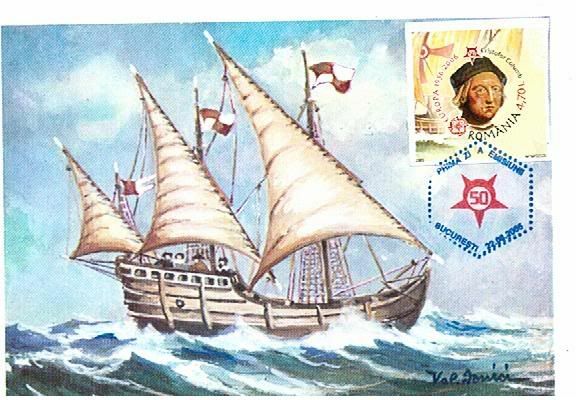 This stamp is St. Vincent Scott #1090 issued Jan. 11, 1988. 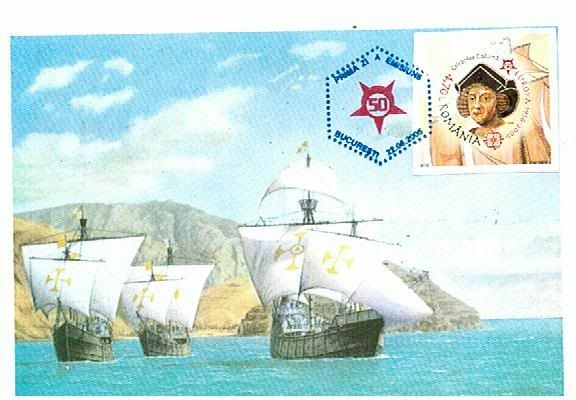 This stamp is St. Vincent Scott #1091 issued Jan. 11, 1988. 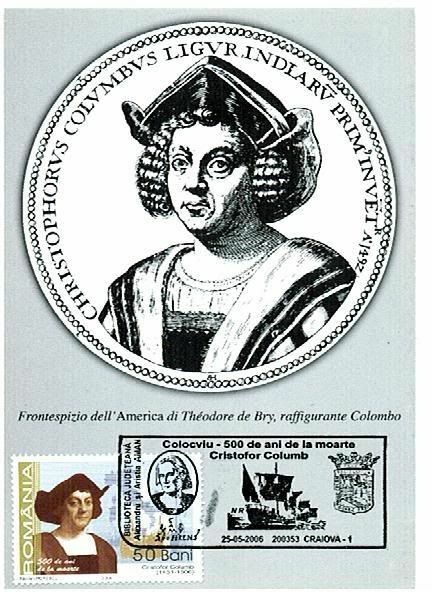 Nice stamps, including from some countries that simply exploit celebrate the Columbus theme. 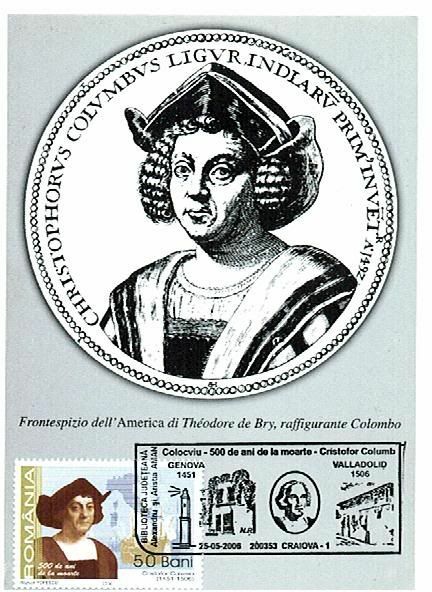 I saw your stamps from Romania; next I will post some Columbus maxicards. That is a very elaborate pictorial postmark. Cool! 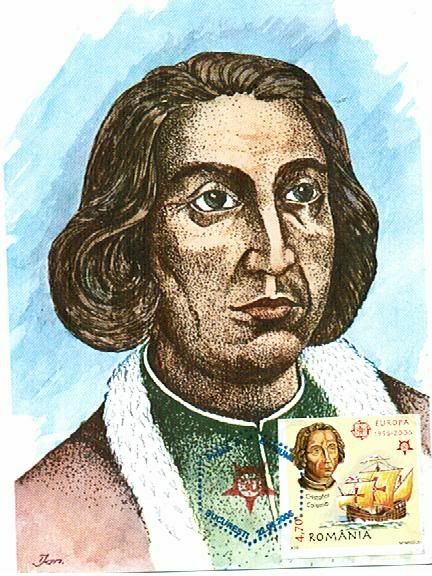 Remember, it's "In 14 hundred and 92, Columbus sailed the ocean blue," and not "In 14 hundred and 93, Columbus sailed the deep blue sea." Guernsey Scott #467 issued Feb. 06, 1992. 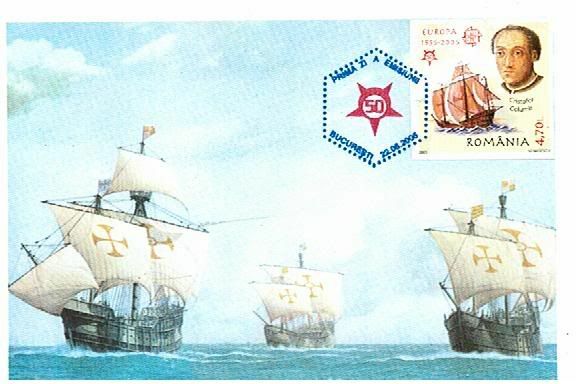 Guernsey Scott #468 issued Feb. 06,1992. Guernsey Scott #469 issued Feb. 06, 1992. Guernsey Scott #470 issued Feb. 06, 1992. What a great thread! Lovely pictures of stamps & maximum cards. Thanks, everyone.